A growing number of people are choosing to live in small one-bedroom flats or studio apartments as a way to keep their rent low whilst still being able to live close to their work place. Getting used to living in a small apartment can be difficult at first. These simple tips will help you to make the most out of your limited living space. Rather than trying to squeeze as much as you can into your limited floor space, consider building vertically. Use tall, slim bookshelves to store your books and DVDs, mount shelving on as many walls as you can, and hang pots, pans and other items from the wall rather than keeping them in cupboards. You can keep your home from looking cramped by restricting yourself to one large item of furniture per room. Instead of cramming a three-piece suite into the living room, opt for a luxurious sofa or futon and use smaller space-saving chairs (or stylish bean bags) when guests come to visit. 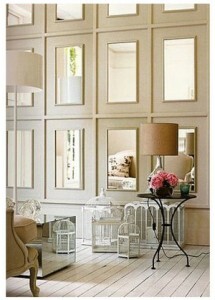 The use of mirrors is a popular interior design trick that can make rooms look bigger and brighter. Placing a large mirror above the fireplace (or any other focal point that you have chosen in your room), and you should instantly notice a difference in the atmosphere of the room. Stay away from busy patterns, stripes, and complicated designs. They look great in period homes but can quickly become oppressive in small apartments. Instead, embrace Scandinavian design – opt for clean lines, classic colours, and minimal ornamentation. Try to stick to one colour scheme for the entire apartment, to avoid getting a disjointed feeling as you walk from room to room. When you live in a small apartment, you don’t have the luxury of acquiring a lot of stuff. Before you buy anything new, ask yourself whether you really need it. Will you use it? Do you already have something that does the same job? Where will you put this item? If you don’t have good answers to all of the above questions, don’t make the purchase. Look on the bright side – you might have less stuff, but that also means less clutter, and more money to save, or spend on fine dining and holidays! If you live alone, do you really need a full-sized pizza oven, large microwave, and fully featured coffee machine? You can probably get away with a smaller oven, a tabletop hob, and a miniature microwave and coffee maker. Individually, the space savings may not look like much but they make all the difference when you’re juggling multiple appliances to cook a meal. Try to get the full use out of every item in your home. That ottoman can double up as a storage trunk, and a coffee table can double as an ironing board (as long as it’s not made out of glass!). Be creative, and you’ll be surprised how few items you actually need. This article was written by Ben Frisby on behalf of Vibrant Doors. Click here to visit their site and find out more. 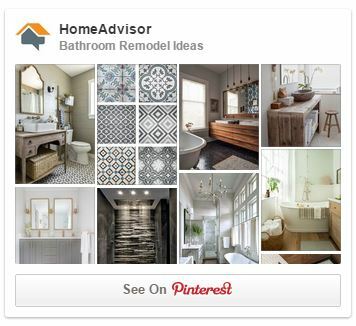 This is a great article and it translates so well into home staging, my primary customer base. My favorite is keeping a single large item in a room. So often people think you need to have all small furniture in a small space, but the truth is that a good size sofa with a smaller occasional chair will often make the room feel so much larger. Thanks for the comment. You are spot on!